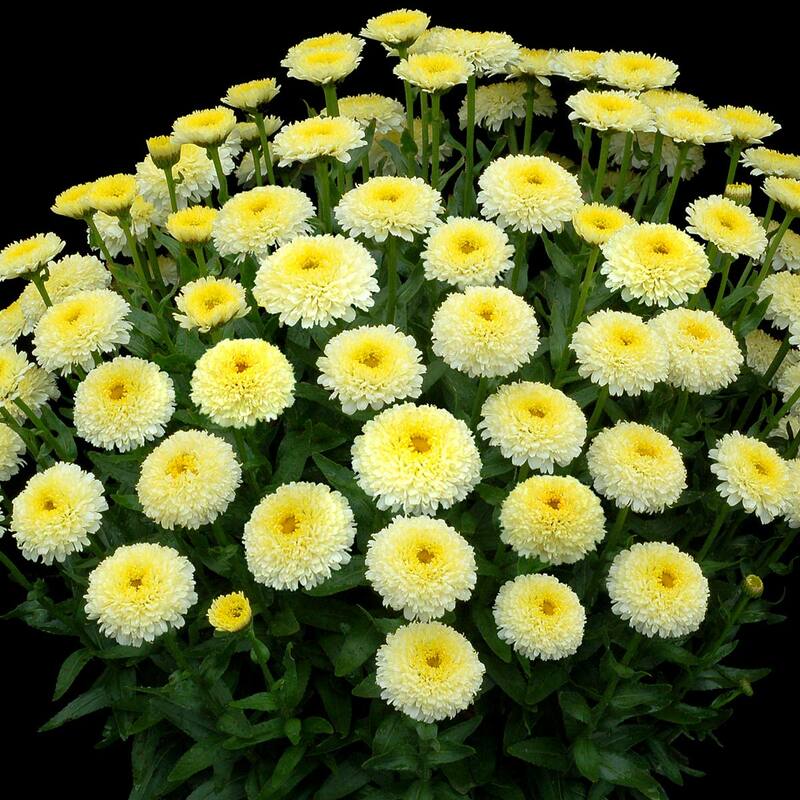 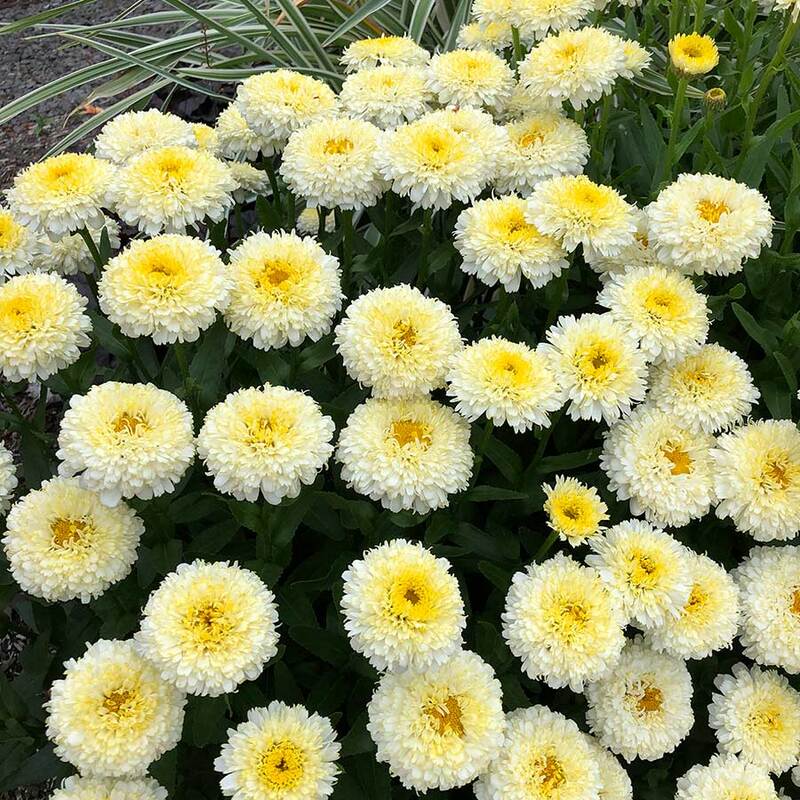 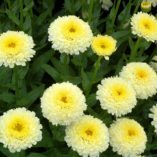 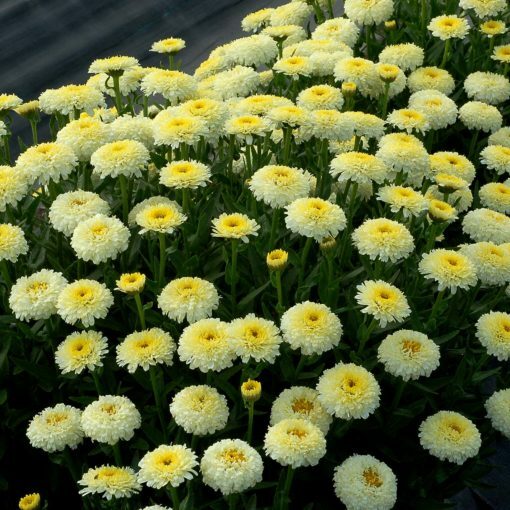 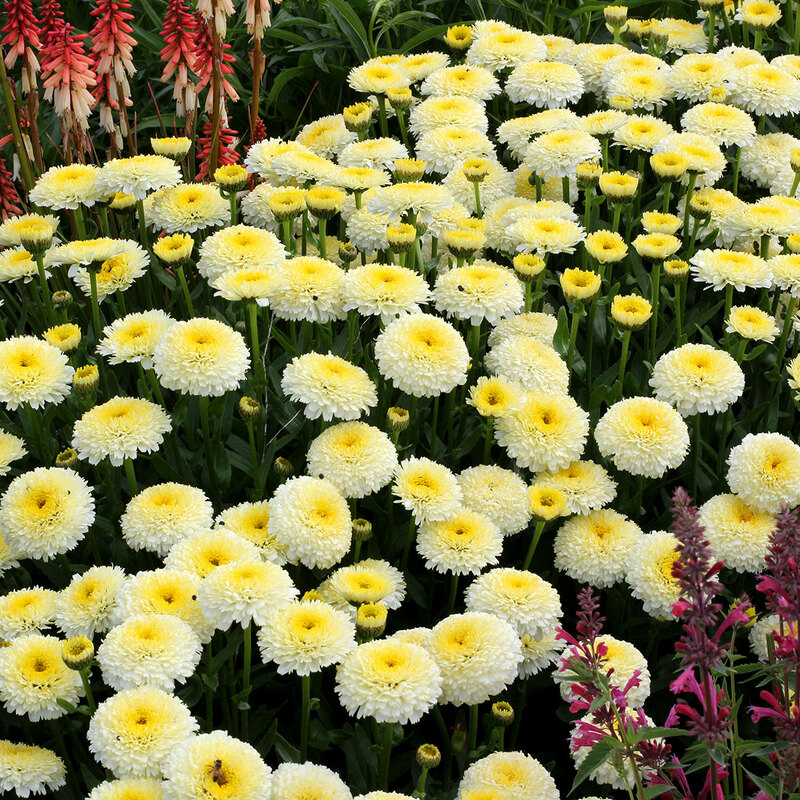 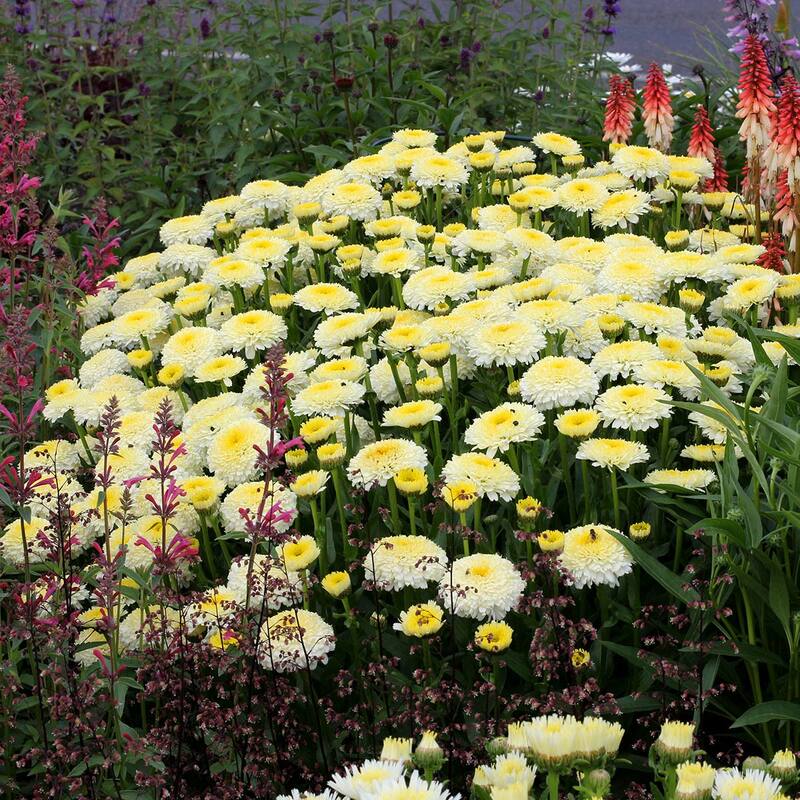 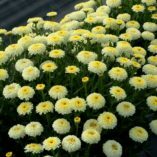 Leucanthemum ‘Luna’ | TERRA NOVA® Nurseries, Inc.
'Luna' proves the moon is out! 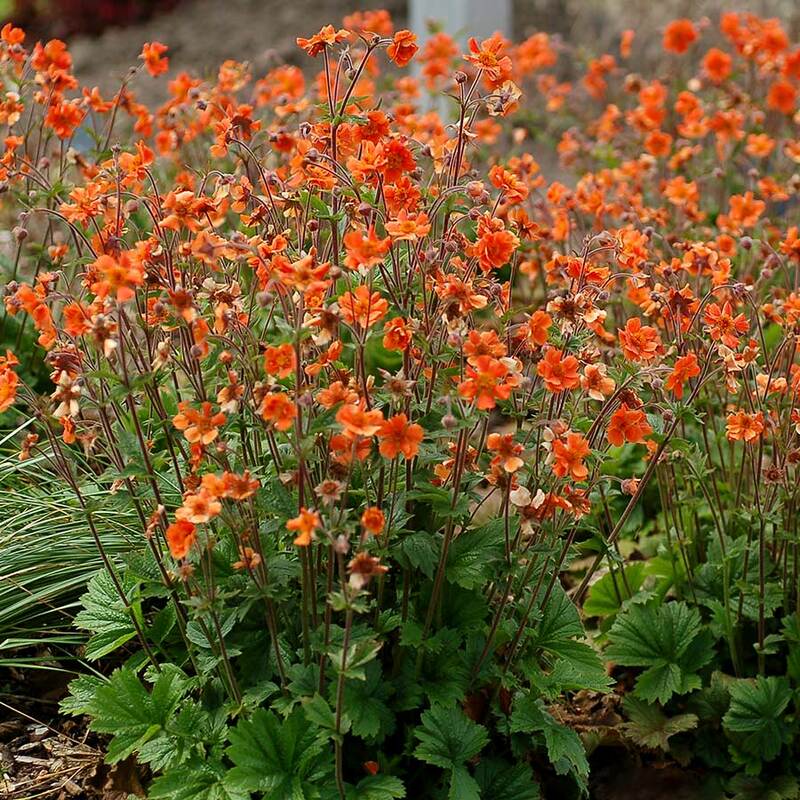 Showy, pom-poms of double flowers rest atop a dense, upright, mound of foliage. 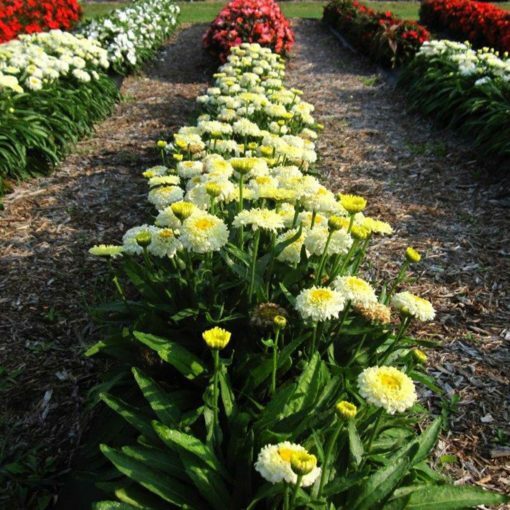 Flowers bloom yellow, then gradually change to a two-toned yellow and finally finish white. 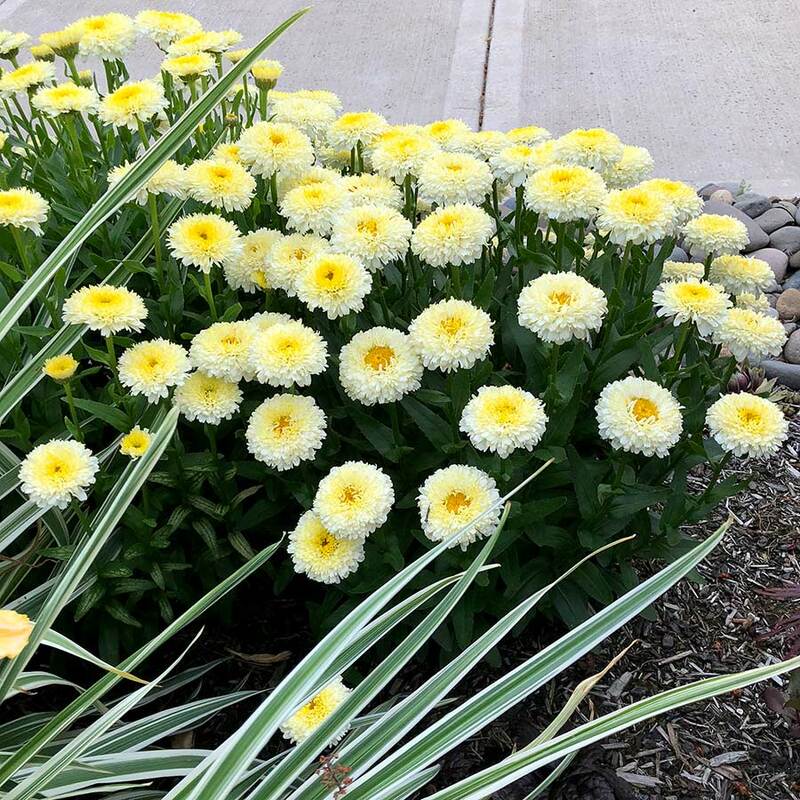 Flowers stay yellow for two weeks or longer in Oregon, unlike other “yellows” that fade in a matter of days. 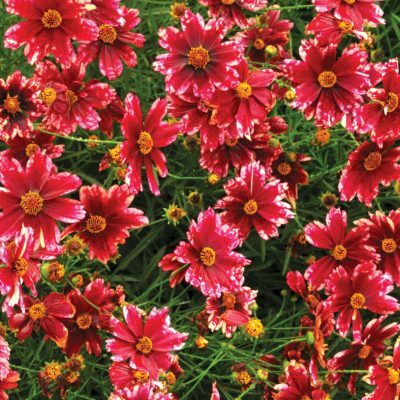 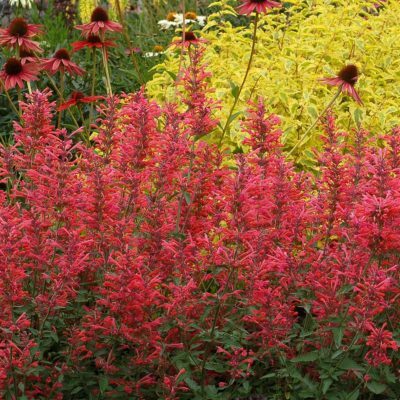 Use in mixed beds and mass plantings. 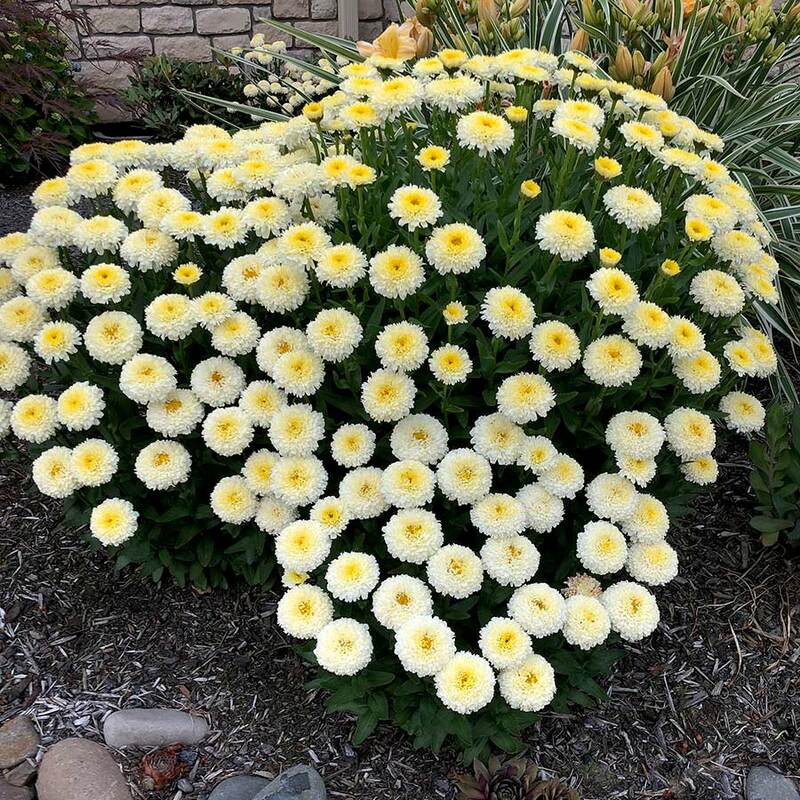 19" / 19" / 22"
Pom pom type yellow flowers on a dense, upright mound. Best pom-pom yellow flower. 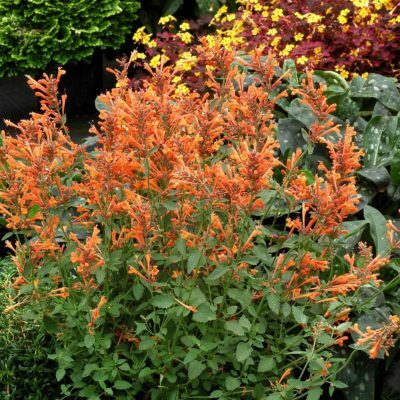 Great habit and vigor. 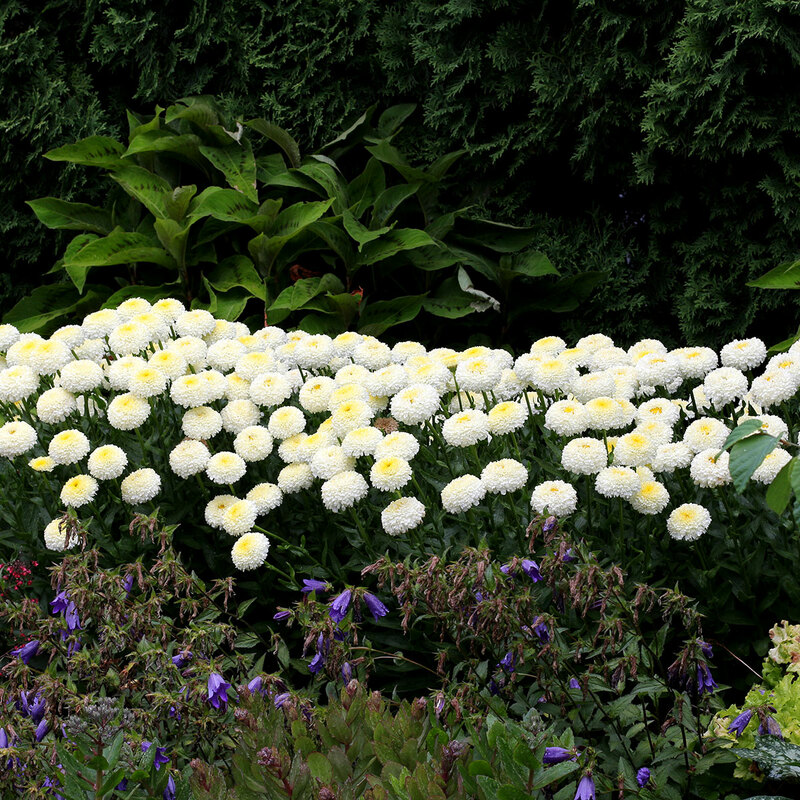 Flowers first year. Mass planting, mixed bed, Equally at home in the garden border, container, or front of the border. 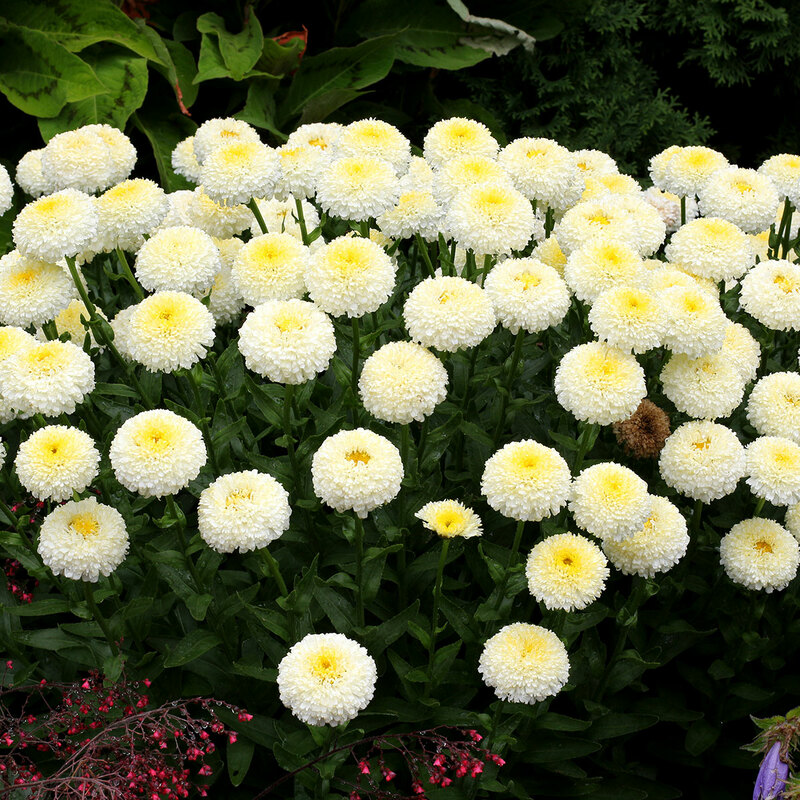 6 – 8 weeks in spring; 12 – 14 weeks in winter. 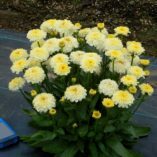 Won Greenhouse Grower's "People's Choice" award for perennial of the year. 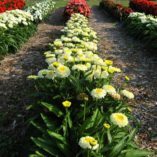 100% winter survival at University of Minnesota 2016. 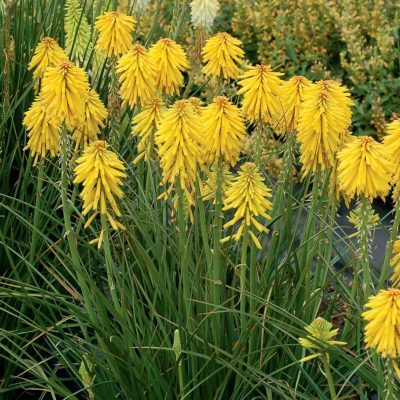 Facultative long day plant. 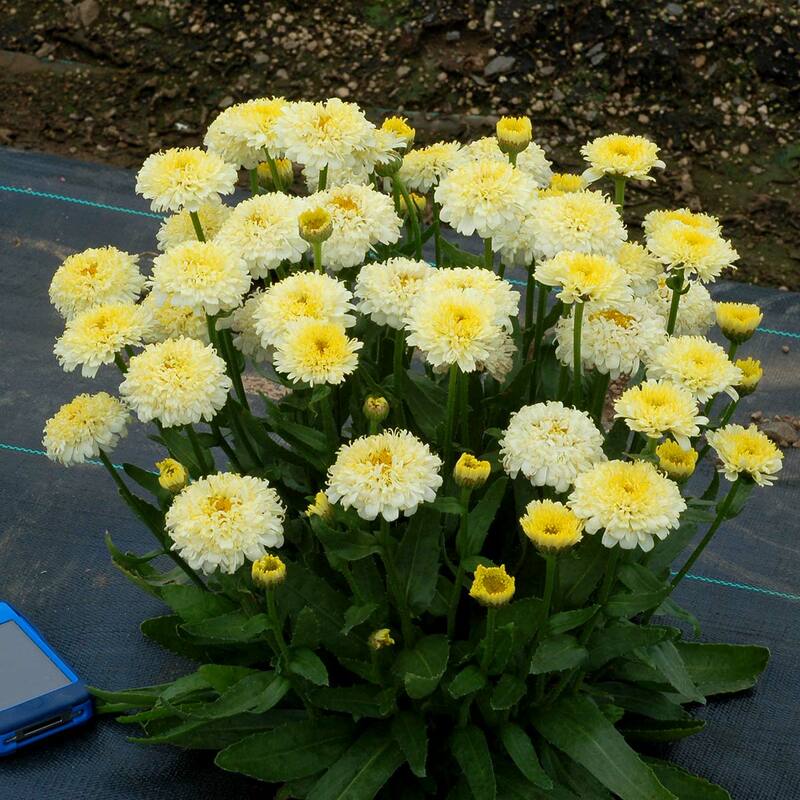 Recommend vernalization of 8 weeks at temperatures below 45° F.